This quality-made ALOGIC cable delivers a crisp, clear audio/video signal for less. 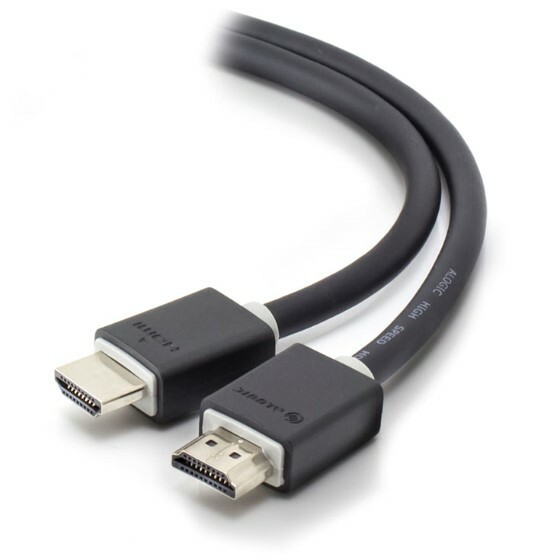 This cable type offers the same baseline performance as the High Speed HDMI Cable, plus an additional, dedicated data channel, known as the HDMI Ethernet Channel, for device networking. HDMI Ethernet Channel functionality is only available if both linked devices are HDMI Ethernet Channel-enabled. The cable's construction provides the quality needed for a clean 1080p picture. Gold-plated connectors ensure long-lasting, dependable connections while the PVC jacket adds flexibility and durability. The fully moulded connectors provide excellent strain relief.